Courtesy of all4woman.co.za, our dear colleague Tanya Leeuw receives a daily mail containing an easy to implement Go Green Tip. The following is a compilation of some that have come through. Yes the planet is in peril, but you will serve it better by going green gradually and increasingly successfully, rather than by sprinting off and getting exhausted on the first lap. Take baby steps - easy to do things. Turn them into everyday habits and add new ones regularly. For example, turn off you car engine if you are going to have to wait for somebody for more than a minute or so. Don't rev your engine. Accelerate and slow down slowly. Pretend you have a rotten egg under your accelerator! Check your tyre pressures regularly. Buy goods, and from shops, that use the least packaging. In other words avoid over-packaging and shop by packaging as well as by price and quality. If you currently separate your rubbish you will know how big the packaging pile is. If you don't (separate rubbish) try this experiment for a week: put all discarded packaging (including packets, milk cartons, can etc) in one bag and the rest of your rubbish in another bag. You will be amazed at how much packaging you are buying each week! Quick tip: milk sachets produce a fraction of the plastic waste that plastic milk cartons do. South Africa is steadily running out of fresh water, as are many other countries. You can save water by showering instead of bathing, by NOT leaving the tap running when you clean your teeth, wash your hands, or wash dishes. You can also save water in the garden in several ways - plant indigenous flowers, shrubs and trees - they need less water. Or install a rainwater storage tank that collects and stores water from your roof. Or use 'grey water' (for example water in which you have rinsed the dishes) to water your pot plants, veggie or flower garden. Almost all washing powders and softeners have an overall polluting effect by putting phosphates into our groundwater and rivers. Why not try a Biowashball? Just pop one into your washing machine to completely replace your detergents and softeners. It is composed uniquely of natural ceramics contained in a plastic non-toxic sphere and is 100% recyclable after the three year use period. The Biowashball™ has no side effects and eliminates germs. It saves electricity and water and eliminates washing powder and softener packaging. It consists of a green, non toxic sphere which is filled with 8 different kinds of little ceramic balls that break down the hydrogen molecules of water. Bottled water uses 2000 times more energy to produce than tap water. Where possible, and safe, drink tap water. Bottled water generally comes in plastic bottles (not biodegradable) and has been transported some distance (CO2 emissions)- in some instances ridiculous distances from countries such as France and Italy. 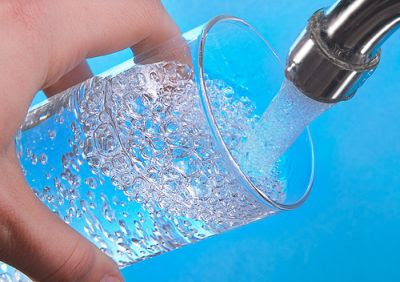 If you decide to use a water filter be aware that harmful bacteria breed rapidly in de-chlorinated water at room temperature - especially during hot weather. Use freshly filtered water, or recently filtered water that was immediately refrigerated. I enjoyed your article. Plastics are changing and manufacturers are taking more responsibility for the life cycle of their products and packaging. If consumers need to purchase bottled water, they should look for water in biodegradable bottles. Biodegradable plastic (Not compostable PLA plastic), while not the final answer for eliminating plastic pollution, is going to have a huge impact on how customers view plastic bottles and reducing plastic pollution. Recycling will still play an important role; however, consumers are becoming aware that recycling efforts in many countries does not have a significant impact. Here in the U.S., PET recycling only accounts for 20-30 percent of plastic bottles manufactured. The rest end up in a landfill. Biodegradable PET plastic bottles like our ENSO biodegradable plastic bottle are designed to be recycled and if it goes into a landfill, it biodegrades producing biogases. Biogases in a landfill are known as landfill gases and here in the U.S., many landfill operators are using LFG’s to produce energy. What better use of our trash than to use it to produce clean energy.